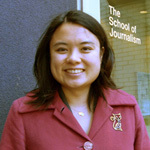 Jes Abeita is a graduate student in the University of British Columbia’s Graduate School of Journalism Master’s Degree Program. Her multimedia work experience includes the Vancouver Sun, National Public Radio, Native America Calling and she has freelanced for publications in Canada, the U.S. and Mexico. Jes earned a bachelor’s degree in Native American Studies at the University of New Mexico in Albuquerque, NM with a minor in Journalism and she is a member of the Pueblo of Isleta. She plans on using multi-media reporting to explore inter-cultural issues and the impacts of colonialism on modern societies. 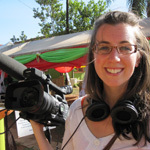 Sarah Buell completed her Masters of Journalism at the University of British Columbia and holds a Bachelor in Communication Studies from the University of Windsor. She has interned with CTV News in Vancouver, The Eyes Production Company, CKNW in Vancouver and the Windsor Star. Sarah hopes to continue with a career in film and broadcasting. Rebecca Cheung has completed internships with CBC’s Quirks and Quarks and the PBS-produced program, NOVA. She has an MSc in Physiology from Queen’s University and is completing her final year at UBC’s School of Journalism. As part of her graduate program, Rebecca is producing a multimedia project on childhood brain disorders for The Vancouver Sun. In spring of 2011 Evan finished his Master of Journalism degree at the University of British Columbia. Evan has reported and written about an array of topics including fighter jets, foreign policy and espionage. Other issues have caught Evan’s attention including agriculture, access to food, and the battle over the right to consume raw milk—a product favoured by whole foods activists yet feared by government and mainstream scientists. Evan has written and reported for The Vancouver Sun, Embassy Magazine, The Tyee, The Globe and Mail, The North Shore News, and others. 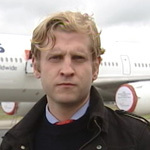 Daniel Hallen completed his Bachelors degree at McGill University before pursuing journalism through the University of British Columbia Graduate School of Journalism. He has interned, reported and produced for Global Television and CBC Television in London, England, Ottawa, and Vancouver. 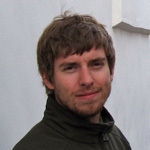 He’s currently working as a freelance journalist and videojournalist, based in Montreal. 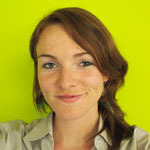 Emily Jackson currently works as a reporter with the Globe and Mail’s Report on Business. 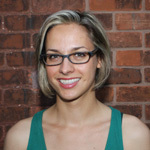 She is a graduate of the UBC Graduate School of Journalism and has her Bachelor of Commerce from Queen’s University. She has also worked for The Vancouver Sun, BC Business, and CKNW. She traveled to Uganda for the pain project and hopes to continue her career in international storytelling. Jenna Owsianik is a graduate of the UBC Graduate School of Journalism and holds an honors bachelor degree in Women’s Studies with a minor in French from the University of Western Ontario. She has interned with CTV British Columbia and CKNW Radio. For her master’s thesis, Jenna produced an online multimedia project covering the stories of gay homeless youth in Canada. 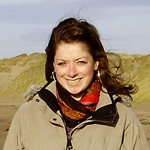 Niamh Scallan is a Vancouver-based journalist. She has reported for The Province, The Globe and Mail, The Tyee and the North Shore News. She is a graduate of the University of British Columbia School of Journalism and holds an honours bachelor’s degree in International Development from the University of Guelph. 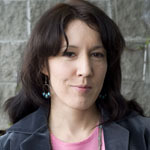 Robyn Smith currently works as an associate editor and features writer at The Tyee, with previous experience reporting for the Globe and Mail and the CBC. She lives in Vancouver.